When you think about it, a lot of times technology vendors sell lenders their technology based on features or functionality. And lenders try to sell borrowers with loan products. That’s not the right approach. Why? In most cases those items are not what really differentiate you as a technology provider or a lender. Conversely, what should be a differentiator for you should be your brand. In the article entitled “How Branding Can Help Your Customers Choose Your Business” written by Alex Schnee, he notes that when you are looking for new ways to encourage customers to find your business and be excited about what you do, you might need to take a look at how you are choosing to brand yourself. Branding might seem like something that you don’t really need to do in order to find success as a company, but you would be surprised to know how much it can end up helping you. Here are some ways you might want to reconsider your brand and the type of audience you are reaching. Do you know exactly who you want to attract as a customer and why? It’s not always easy to describe your ideal client unless you’ve taken some time to brand yourself properly and to know what type of customer would be attracted to your product or service. By developing a brand, you’re taking the time to know who you are reaching and why, what your buyer’s habits are, and how you can best market to those who will deliver results. Most companies that do well are ones that stand out a bit from the crowd. Either they have taken the time to differentiate themselves from the competition in the market, or they are seen as the top competitor. When you can easily recognize a logo or a business model, then a company is already one step ahead in terms of marketing and being competitive on the market. Having a recognizable face as a business can bring in new customers because they are already aware of your reputation. If you’ve had trouble putting together a comprehensive marketing strategy for your business, then it might be time to consider whether you are getting the message across through your branding. Your strategy should be based around what you are trying to convey with your brand and the types of customers that you want to reach. This can mean investing in better content, advertising, and the use of social media in order to achieve what you want. Some of the biggest names in several industries do not necessarily create better products than their competitors, but they do have a reputation to rest on. When customers know what to expect from your business, you are creating a brand name that has a connotation of caring for clients. Consistency tends to be key when you want to develop a brand that customers feel like they can rely on. Reputation can either make or break a business, so it’s in every company’s best interest to foster a positive one and to take the time to use branding as a tool for creating a quality reputation that will last. Branding deserves time and effort and evaluation of how you can approach new customer. Because it is such an essential part of a business and how you choose to market yourself, sitting down and developing a strategy can go a long way toward creating repeat and consistent business in the long run. At NexLevel Advisors, we help clients all the time with branding so they can succeed in this mortgage market. When you think about your brand, Laura Lake points out that there is a lot of confusion around branding in her article entitled “Learn Why Branding Is Important In Marketing.” If you think about it, there are multiple definitions, so what is branding? Decades ago branding was defined as a name, slogan, sign, symbol or design, or a combination of these elements that identify products or services of a company. The brand was identified of the elements that differentiated the goods and or service from the competition. A strong brand is invaluable as the battle for customers intensifies day by day. It’s important to spend time investing in researching, defining, and building your brand. After all, your brand is the source of a promise to your consumer. Your brand is a foundational piece in your marketing communication and one you do not want to be without. Branding is strategic and marketing is tactical and what you use to get your brand in front of consumers. That’s why it carries a great deal of importance within a business or organization as well. Brand serves as a guide to understanding the purpose of business objectives. 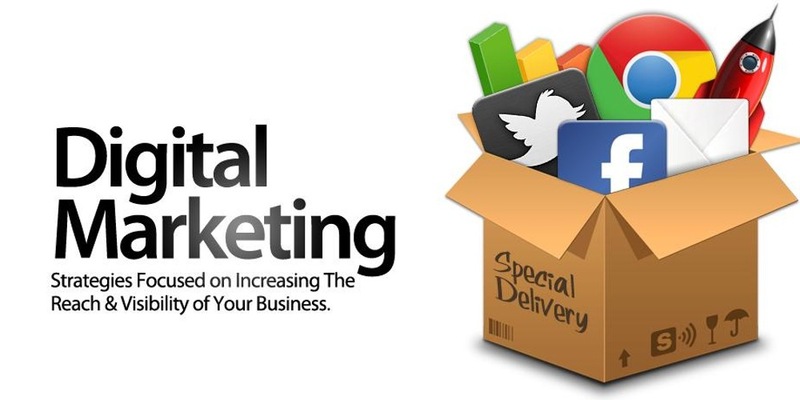 It enables you to align a marketing plan with those objectives and fulfill the overarching strategy. The effectiveness of brand doesn’t just happen before the purchase, but it’s also about the life of the brand of the experience it gives a consumer. Did the product or service perform as expected? Was the quality as good as promised or better? How was the service experience? If you can get positive answers to these questions, you’ve created a loyal customer. >>Does your brand relate to your target audience? Will they instantly “get it” without too much thought? >>Does your brand share the uniqueness of what you offer and why it’s important? >>Does it reflect the brand promise that you are making to who you are targeting as well as to your internal audience? >>Does your brand reflect the values that you want to represent as a customer? Let these questions serve as a guideline in the development of your brand. If the answers are not clear you may want to return to the drawing board and refine the branding process. A brand should be an instant “ah-ha” it should require very little thought and contemplation.